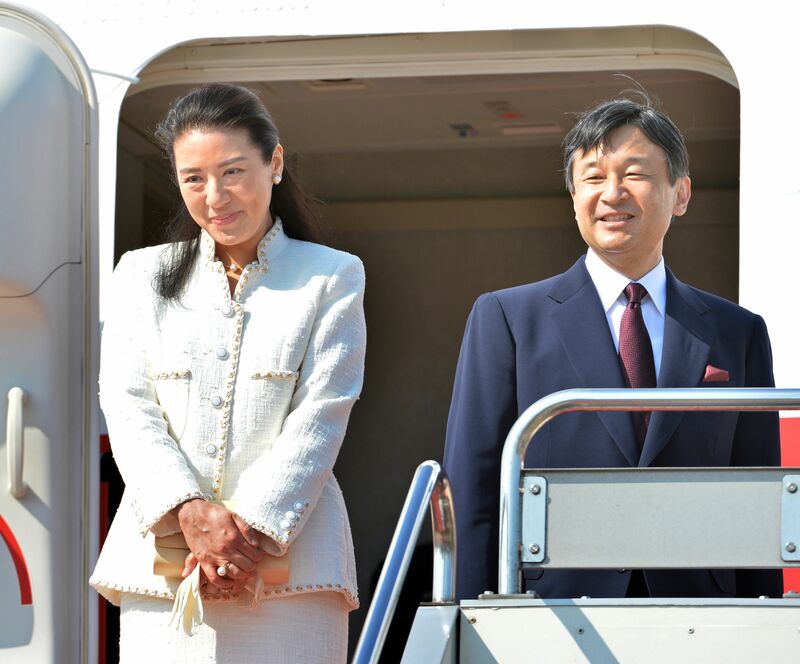 Crown Prince Naruhito and Crown Princess Masako left for the Netherlands on Sunday to attend the coronation of the new Dutch king. The flight would be unremarkable except for the Crown Princess, who is taking her first official overseas trip in 11 years. The former diplomat has been undergoing treatment for a vaguely explained “stress-induced illness” since 2002, when she went to New Zealand and Australia. Before boarding a government plane at Haneda airport in Tokyo, the Crown Prince and Princess exchanged a few words with officials of the Imperial Household Agency and the Dutch ambassador to Japan, who came to see off the Imperial pair. The Crown Princess only plans to attend the banquet Monday organized by Dutch Queen Beatrix, who is stepping down, and the coronation ceremony for Prince Willem-Alexander on Tuesday, the agency said, adding that the plan was made to lessen her burden and won the consent of the Netherlands side. The trip will wrap up on Friday. Her attendance at other events will be decided after consulting the doctors accompanying the couple. Yutaka Ono, the head of the National Center of Neurology and Psychiatry who serves as a doctor for the Crown Prince’s Palace, is among those accompanying the couple. In addition to the two events, a reception after the coronation, a floating parade, and a reception by the royal family are on the schedule, as well as a breakfast hosted by the Dutch king and queen for the guests on Wednesday. These events will be attended by the Crown Prince, in addition to Monday’s banquet and the coronation ceremony. A meeting to let Japanese residents of the Netherlands greet the Crown Prince and Princess is also being considered. 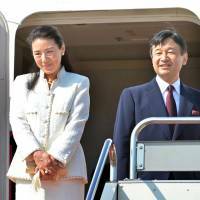 The couple are expected to leave the Netherlands on May 2 and return to Japan the following day. The Imperial family has maintained close relations with the Dutch royal family. The Crown Prince and his family stayed at Dutch royal facilities for around two weeks in the summer of 2006 for a private vacation, which was also aimed at helping the Crown Princess recuperate.